Have you been hearing about circular economy, but don’t know where to start reading about it? At be Waste Wise, we have been talking about circular economy since 2014 in our #wastedialog. 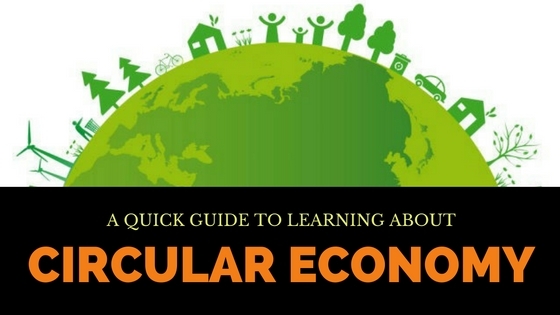 So, here is a quick guide to help you understand more about circular economy. 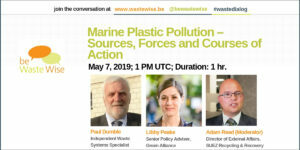 Start with these two simple Q&A sessions with the father of waste hierarchy, Ad Lansink, who speaks about the current status of managing materials and waste, prevention and where the focus is and about the Circular Economy and Zero Waste. Read this short essay on how improving waste management can improve wellbeing and lead to a circular economy. Concepts of zero waste and zero landfill are similar to circular economy. Continue learning about them through this discussion on Zero Waste Vs. Zero Landfill. A sharing economy is absolutely required for our planet to move to a circular economy. Read this essay about the 5 Lessons My Students Taught Me About The Sharing Economy. Waste prevention is also important first step in moving towards circular economies, so watch this panel on the Future of Waste Prevention and the Sharing Economy. Now that we know why a Circular Economy is a necessity, how can we get there? Read this article Unite & Ignite – Path to a Circular Economy or watch the panel on which the article is based on — Igniting Circular Economy into Action. Circular Economy is a concept that is being discussed mainly in developed economies. A circular economy is possible only when it is global. So, watch Making Circular Economy Truly Global. Is there a specific area of circular economy that you want us to host a panel discussion on? Or, is there any other other panel or article (external to this website) that you think should be linked as part of this guide, do let us know in the comments. Want to learn about the Circular Economy? This resource from @bewastewise is a good start.